In court today, an associate of the Ghost Town Gang was charged in connection with a shooting incident that occurred on August tenth. 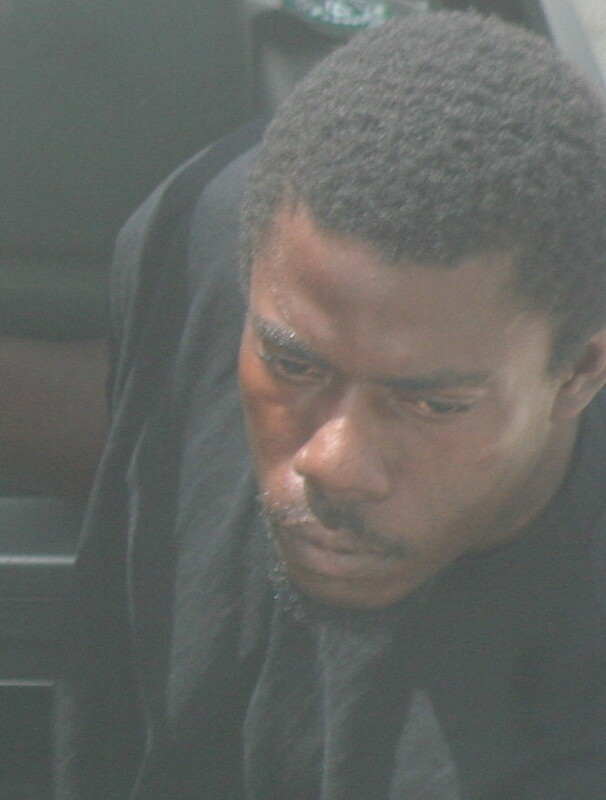 Nine shots were fired at thirty-one year old Nelson Kareem Bowen, who was at his home on Sibun Street. He was fortunate to only be hit once on the thigh. Since then, his family suspected that the incident was gang related and that was confirmed with the arrest of thirty-five year old Ghost Town associate, Moses Gonguez. He was unrepresented when he appeared before Chief Magistrate, Ann Marie Smith, on three counts; Attempted Murder, Dangerous Harm and Use of Deadly Means of Harm. Since Gonguez is facing indictable charges, no plea was taken and he has been remanded at the Central Prison until November eighteenth. Hang him hang him high hang all gang members. UNFORTUNATELY WE CAN’T HANG HIM HIGH AT BRIDGE FOOT…. but WE CAN SEND HIM TO THE SUSTAINABLE REHABILITATION CENTER…PRISON FARM 4 LIFE. BUILD THE PRISON FARM TODAY….. FOR A BETTER TOMORROW!!! Hang who? He not even kill the man. If he mi wa kill a he mi a kill a. caz he no miss. Hang the ones weh actually kill somebody or more importantly the child molesta. relax unu self. smh.